Should You Use a DIY Water Filter? The need for potable water is an unquestionable priority for all of us. While tap water guarantees cheap access to safe water, sometimes, not even tap water is completely free from contaminants. One thing is certain: Without using a water filter you can never be sure about the quality and cleanliness of the water you drink every day. Most probably, you’re one of those lucky people who have everyday access to clean drinking water. It seems like the simplest thing to reach for a of bottle of water or walk into your kitchen for a glass of fresh water. But have you ever thought about what would you do if you would find yourself in a different situation? Have you ever thought about how you would go about getting water cleaned if it wasn’t readily available? Learning how to make your own DIY water filter can come in handy in situations where drinking water is not a given. In this article, we’re going to go over the easiest ways to purify water without a store-bought water filter. 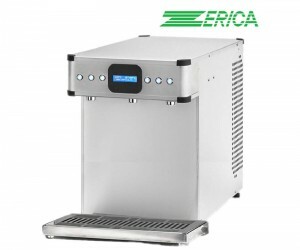 Zerica, the Italian manufacturer of water machines, is recognised throughout the catering industry for its finesse, durability, and versatility. Dispensing chilled, sparkling or ambient water on demand, Zerica’s water bottle systems are a reliable choice at any event. Restaurants, cafes, bars, festivals, weddings or any other similar gathering can benefit from a bottle filling system that will allow you to serve sparkling water or chilled water on demand at a significantly reduced cost. 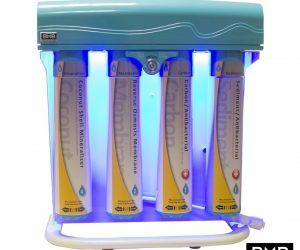 These bottled water systems can be installed under counter or over the counter and can be used with a filter system that eliminates water ingredients that may alter the taste of the water produced, or interfere with the proper functioning of the machine. Compared to other brands, Zerica stands out through its experience, looking back on a history spanning almost nine decades. The company’s commitment to quality and excellence are noticeable in each and every product that bears its name. Why Use an Ice Machine Water Filter? As stand-alone appliances, ice machines are especially popular in the catering industry. Ice machines are used in restaurants, bars, cafes or in any other setting, where ice production is needed on a larger scale. The refrigerator in your home can also be fitted with an icemaker, and it can dispense ice on-demand. Both commercial ice machines and ice makers can benefit from an ice machine water filter, which can remove tap water contaminants like sediments, chlorine, taste and odour problems, and bacteria, thus improving the quality of the ice being produced. An ice machine water filter can not only make the ice produced by your ice machine look clearer and taste better, but, as we will examine in this article, water filters for ice machines can also prevent many appliance-efficiency related issues. Which Water Softener Salt Should You Use? 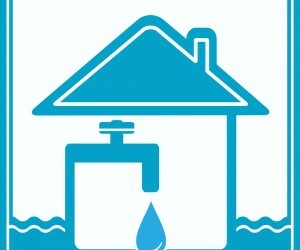 Water softener salt changes are part of the ongoing maintenance required by any salt-based water softening system. 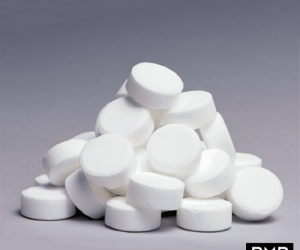 Salt-based water softeners use a brine solution to wash away hardness minerals and to regenerate the sodium charged resin beads responsible for the softening process. If the softener salt in your brine tank is running low, it’s time to pick up some more, and if it’s your first time changing salt in your water softeners, you may be taken aback by the many choices available: solar, pellets, potassium chloride pellets, etc. So, naturally, you might wonder what type of water softening salt should you get? Here we discuss the most common softening salt options you may come across and some of their pros and cons, but first let’s take a look at what water softening really is. It’s easy to resist the temptation of bottled water when you have a water filter installed in your home, but what about when you’re out and about? Filter water bottles or water filter bottles are an easy fix for those who want to ditch the cap for the tap. These portable water filters are designed to help you avoid buying plastic water bottles when you’re away from home. Whether you’re hiking or just travelling abroad, with these tiny filters in a bottle, you can say goodbye to bottled water and get filtered tap water even on the go. For those who think bottled water is a no-go or those who want easy access to potable water even in the wilderness, filter bottles are an absolute must-have. Why Use a Limescale Inhibitor? 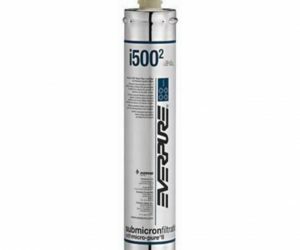 A limescale inhibitor is a water treatment solution that prevents limescale from forming in your pipes, washing machines, boilers, and other home appliances. Limescale is a deposit or residue of hard water and appears as an off-white, chalk-like substance on most surfaces that hard water touches. In the UK, as many as 13 million households are affected by the numerous consequences of limescale deposits – clogging, energy and detergent inefficiencies, frequent breakdowns, changes in water pressure, etc. Fortunately, there are ways to deal with water hardness, and one simple way is to use a limescale inhibitor. The water that is delivered to our homes through the municipal water supply can contain contaminants that make it less than ideal for daily consumption. Sometimes, tap water may be suitable for daily consumption, but some of its properties will make it unfit for other purposes. To exemplify, hard water may not pose any issues if it’s consumed regularly, but it’s not the best for the health of our home appliances because of lime-scale build-up. Climate change and a higher reliance on heavy metals in industrial processes are hindering access to clean drinking water and make large-scale water cleaning increasingly difficult and more time-consuming. Current commercial technologies used in the removal of heavy metals from water tend to be costly and energy-consuming, but chemists at the École Polytechnique Fédérale de Lausanne (EPFL), Switzerland, have come up with a material that targets and rapidly removes heavy metal ions from contaminated water. The study, published in ACS Central Science, describes the effectiveness of a cheaper, faster and biologically friendly material that can selectively and quickly remove high levels of lead and mercury from water. Do Water Filters Remove Healthy Minerals From Tap Water? Are Healthy Minerals Removed from Tap Water Through Filtration? Depending on the source and location, municipal water can contain varying amounts of healthy minerals. Although water should not be the only source of minerals in your diet, it can contribute to your recommended daily intake of these nutrients. Water filters are known for their water purifying capabilities and their efficiency in removing undesirable water ingredients, but what about healthy minerals? Are these too removed during the filtration process, leaving your tap water slightly unpalatable? The answer to this question depends on the water filtration technology used by your water filter system: Some water filters do remove healthy minerals, others will retain them, removing only contaminants. Do Magnetic Water Softeners Really Work? Magnetic Water Softeners – Reliable? 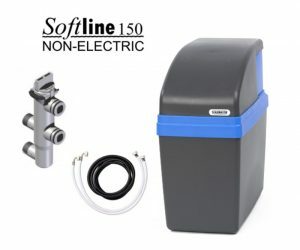 If you’re in the market for a water softening system, you may notice that magnetic water softeners are quite popular thanks to their low price range, zero maintenance, and ease of use. It’s no wonder then that when it comes to choosing between traditional salt-based water softeners and magnetic scale treatment systems, many will choose the latter. Given that there is a significant price difference between the two softening systems, it begs the question whether magnetic water softeners are comparable to salt water softeners in terms of efficiency, and whether magnetic softeners really work? To answer these questions, let’s see how these two scale treatment systems operate and how they compare to each other. By their very design, water filter cartridges in a water filter system are prone to clogging due to the accumulation of contaminants (sediments, dirt, organic materials, bacteria, etc.) on the outer shell of the filter cartridge. When this happens, your filter system will no longer perform as it should be, which, at the very minimum, will lead to low filtered water output. 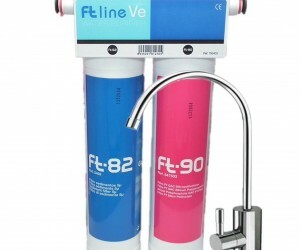 In other cases, contaminants can seep back into the water undermining the very scope of a water filter. For these reasons, water filter maintenance should be carried out regularly, observing the instructions laid down in user guide of your water filter. 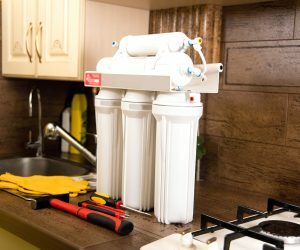 Our quick guide to water filter maintenance will run you through the must-knows of water filter maintenance, so you’ll be prepared to service your filters.